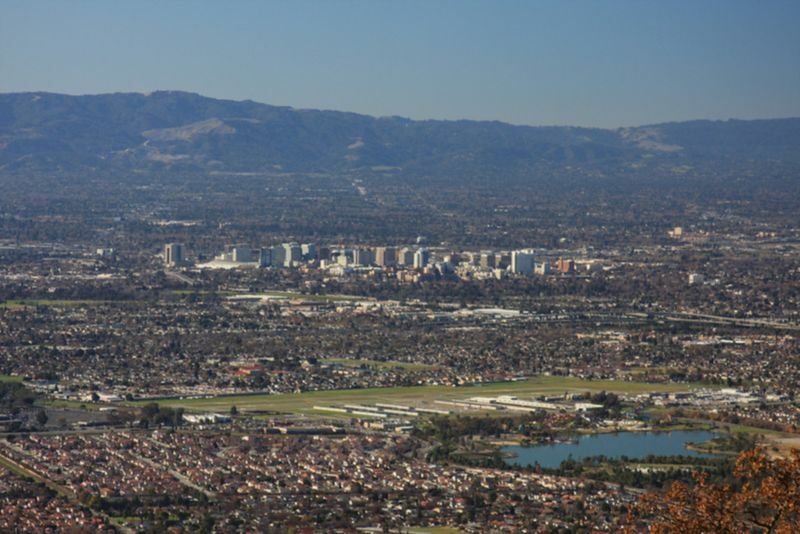 The San Jose area has 650,700 housing units, and only 28,100 of them are empty. That gives San Jose a vacancy rate of just 4.3%, the lowest in the country by a significant margin. The next lowest is Lancaster Pennsylvania at 5.6%. Surprisingly San Francisco is at 7.12% and New York is at 9.92%. I suppose that means it's time to start breaking ground on some more residential units--preferably in dense urban parts of San Jose. The latest design of 1. S. Market apartment building is released on 1. South Market St with a posted sign. The design is spectacular. Hopefully, no one will protest it. The developer wants to get going in Feb. or March. I saw that last week when out and about during a lunch break, but did not manage to take some pictures. As Anon has pointed out, the design HAS changed from the big blue box we hated. It's still blue-ish, but no longer fully boxy. It has some design elements to it. I thought it look surprisingly nice, and is kinda close to the original design. This is fantastic news!! A photo would be fantastic. Email it to me (josh@thesanjoseblog.com) and I'll post it on the blog. Hey Josh, check your mail :) Let me know if you've received the pics. Got them, you rock! Post will go up tomorrow at 6am.